Photography is an art. As is the case with any art form, there are a thousand and one things that can go wrong no matter how skilled the artist is. 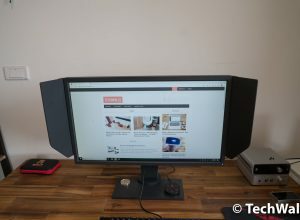 Sometimes something in the background gets in the way, or the image quality doesn’t hold up. These are common issues that people deal with when taking pictures. You may be wondering if there is anything you can do to correct these options. 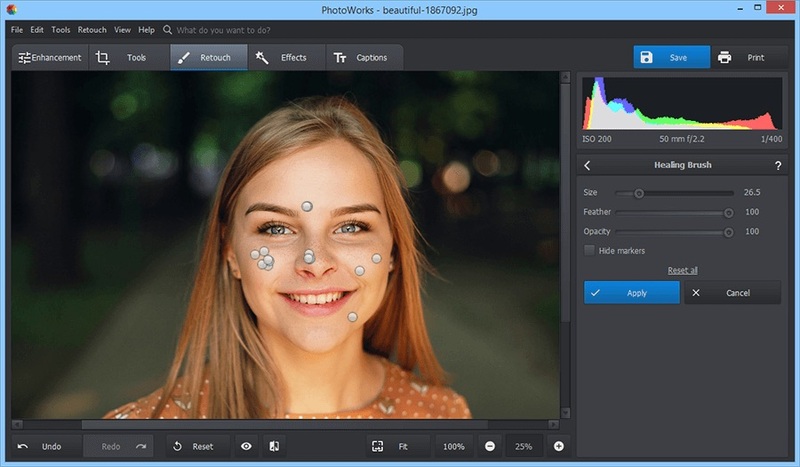 What you need is a good piece of photo editing software like PhotoWorks. 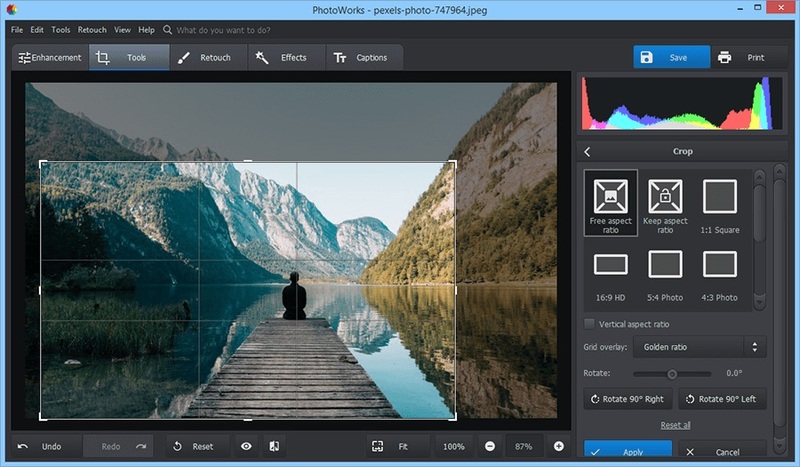 This simple to use photo editor is packed full of features that allow you to fix problems with your images and create true masterpieces. PhotoWorks is a great tool to remove glare from photo. Glare is a common problem with photography. Shiny objects may feel like they will add some substance to an image, but more often than not glare proves to be a defect. PhotoWorks can help you remove glare in a few clicks. Adjust the tone of your photos, use the Adjustment Brush and Clone Stamp, or use the face editor. Play around with the tools to see which one works best for you. Outside of removing glare, PhotoWorks offers you a plenty of features to transform the photos that you take. Perhaps you want to improve the lighting or had problems with weather, or you want to remove a background element from the photo. This software has the tools you need to get rid of these unwanted defects and create something special. 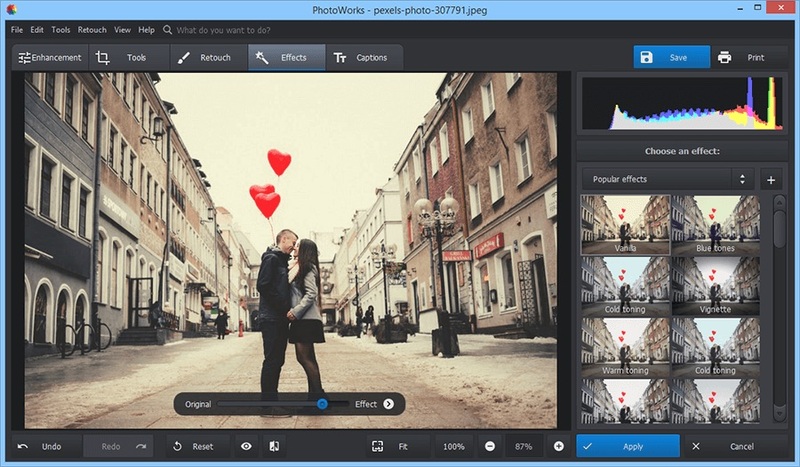 It’s simple and effective photo editing software powered by the best image process technology on the market. 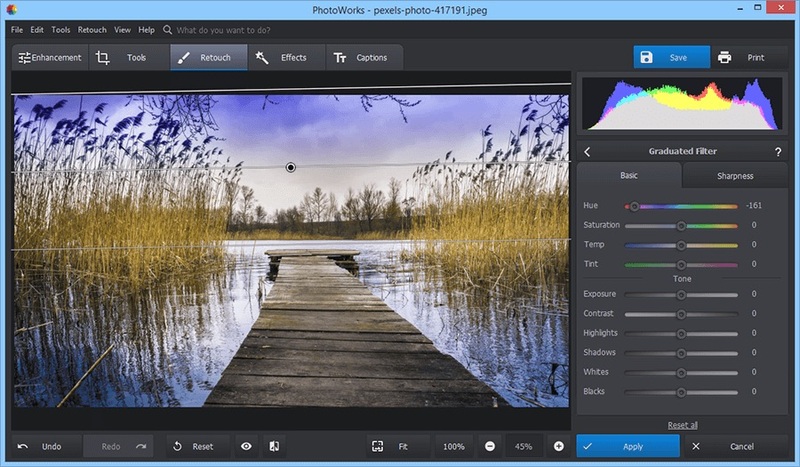 You’ll be adjusting and repairing images in an instant. If you’re looking to touch up a portrait photo, or create a new avatar, then PhotoWorks is a perfect choice for you. 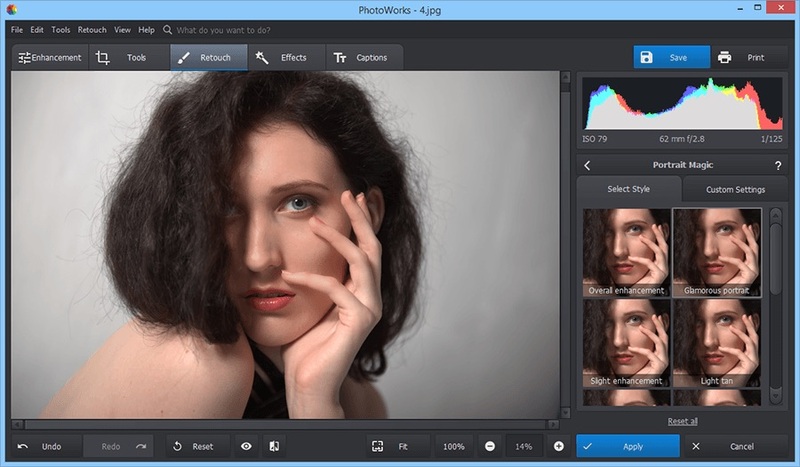 It has intelligent retouching tools that allow you to eliminate imperfections and add some glitz and glam to your photos. Everyone wants to look as beautiful as possible. Remove spots, pimples, freckles, wrinkles, and more with PhotoWorks. You can make any change you feel necessary to create the ultimate selfie thanks to the tools and filters of this software. 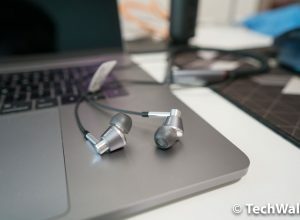 You can even sharpen photos and add depth to them and make photos appear more immersive. There are lots of enhancement tools built in that instantly transform your photos. Even the most beautiful landscape scene can be ruined by things like bad weather. Sometimes it’s not possible to simply come back another time to try again. You’re stuck dealing with the bad lighting. PhotoWorks enables you to take those photos and add a little extra sunshine and color. The graduated filters work wonders with landscapes. Take a gray sky and make it blue and breathe new life into dull photos. Perhaps your perfect shot has been marred by a sign post, power line, or passerby. There are tools available to remove these blemishes. There are also artistic effects like winter frost and summer glow to make your photos even more appealing. 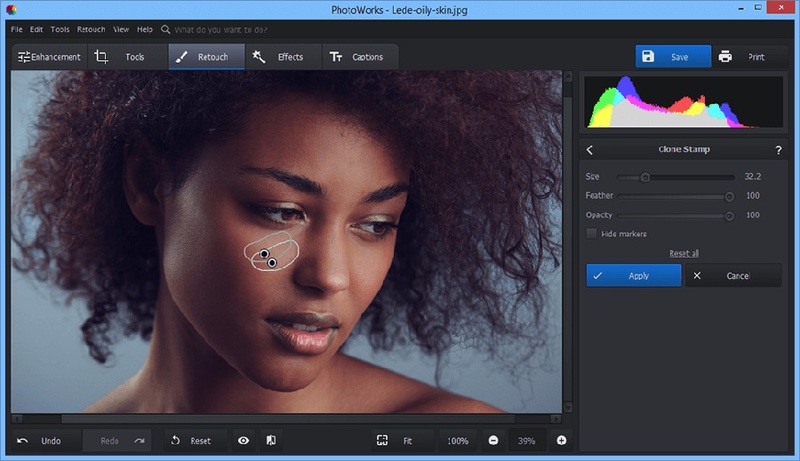 If you’re looking to add some extra tones and hues to a photo, PhotoWorks photo editor lets you do this seamlessly. You’ll be able to change the color of objects in your images in a single movement. Change the color of a dress, turn night into day, and change the atmosphere of a photo by messing with the hue and saturation. PhotoWorks has smart technology that allows users to work the colors of their photo one color at a time quickly and effectively. 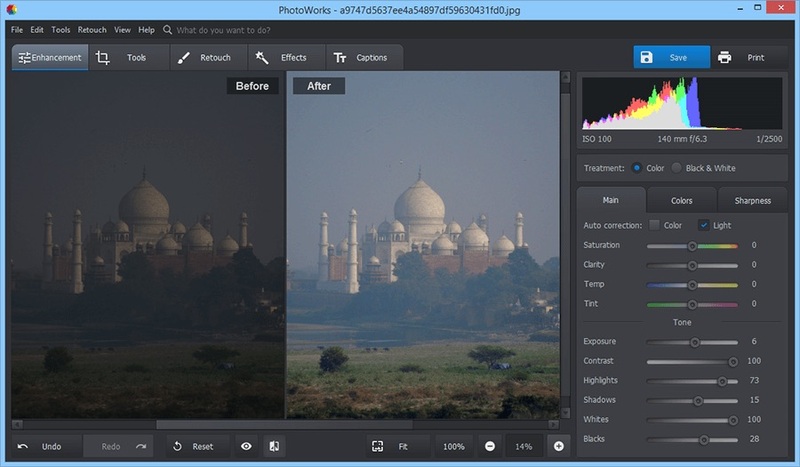 If you want instant one-click photo editing effects, then you want PhotoWorks. It has a large range of artistic filters like color toning, enhancing details, HDR, vignetting, retro, black and white photos, color splash, seasonal effects, and so much more. It takes just one click to add a dramatic or romantic flair to photos. Even if you’re a complete beginner with photo editing, it couldn’t be simple to use these one-click effects to polish your images in no time. Many people want to add a watermark or a caption to their work to protect it against theft. PhotoWorks has features for doing this. You can rotate the text you add to an image and make it semi-transparent so it doesn’t get in the way too much. 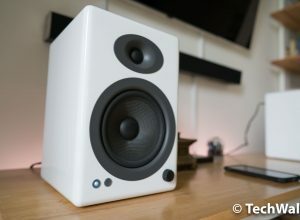 There are over 90 preset captions to choose from, or you can make your own. Want to level out an unappealing horizon or get rid of the “falling building” effect? 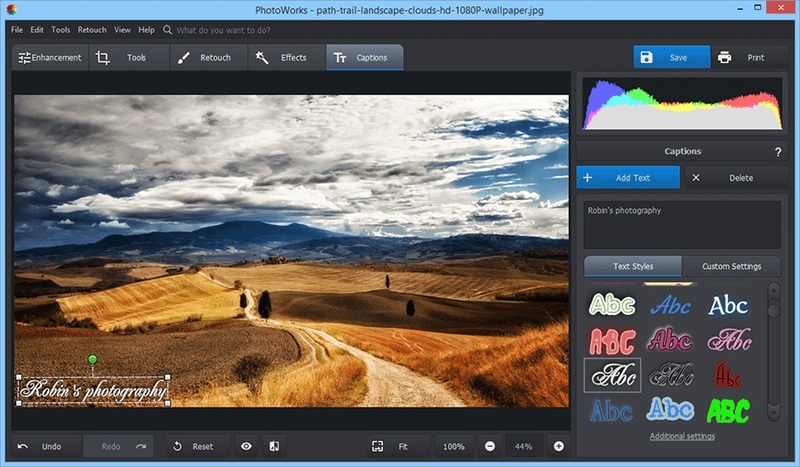 PhotoWorks enables you to do that in a matter of a few clicks. PhotoWorks has several brushes you can use to work with individual objects and elements of a photo. This enables you to do things like accentuate the small details or remove minor blemishes. Cropping can make or break a photo. 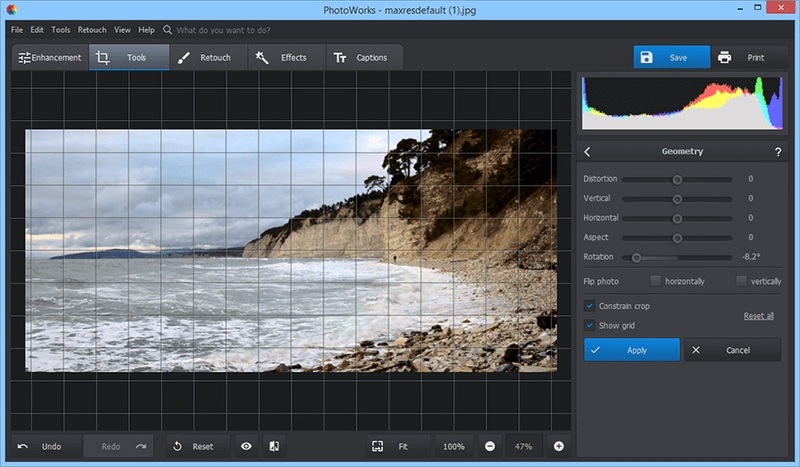 PhotoWorks has several built-in cropping options including the Golden Ratio and the Rule of Thirds. Anyone that wants to learn more about photo editing should consider PhotoWorks. 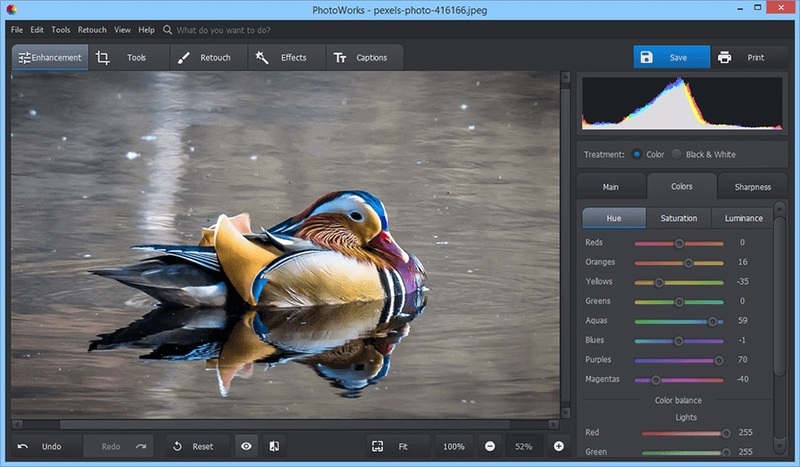 It offers a range of tutorials on techniques for mastering image editing. Photos rarely come out perfect the first time around. There’s no problem with having to touch your photos up a little to make them look stunning. No matter what is wrong with your photo – whether it’s something that shouldn’t be there, a bad perspective, poor lighting, or anything else – you can count on PhotoWorks to fix the issue. 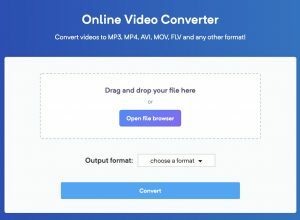 The program is packed full of tools to help you with any editing task, and has a lot of free online tutorials on how to use those tools to create the best images possible.